Nigeria Football Federation (NFF) on Tuesday in Abuja confirmed that Frenchman Paul Le Guen has rejected the job of Technical Adviser of the Super Eagles it offered him. The News Agency of Nigeria (NAN) reports that news of the rejection came in less than 24 hours after he was recommended for appointment. The Technical and Development Committee of the NFF had on Monday, after its meeting in Abuja, recommended Le Guen to its Executive Committee for appointment as Super Eagles Technical Adviser. Paul Bassey, a member of the committee, had told newsmen that Le Guen’s was recommended to the executive committee even before concluding agreement on contract terms. “Baring agreement on contract terms, emoluments, allowances and entitlements, Le Guen becomes the Technical Adviser of the Super Eagles,’’ he had said. About 24 hours later, the NFF confirmed the Frenchman’s rejection of offer of appointment in a statement by Ademola Olajire, its Assistant Director of Communications. The statement quoted Chairman of NFF’s Media and Publicity Committee, Suleiman Yahaya-Kwande, as saying Le Guen said he was not ready to live in Nigeria while working for Nigeria. “Apart from this, he also did not want to be given a target,’’ Yahaya-Kwande said in the statement. “The statement on the recommendations was clear, to the effect that all appointments made at the Technical and Development Committee meeting were mere recommendations, which had to be deliberated upon and agreed to by the board,’’ he added. However, a top source in the NFF who preferred not to be mentioned said Le Guen cited insecurity in the country as part of his reasons for rejecting the offer. “The fear of a state of insecurity and other disagreements accounted for his rejection of the Eagles job we offered him. “We were sceptical when Le Guen insisted he was not going to live in the country and we all remember the last experience we had with Sunday Oliseh. “In fact, Le Guen’s refusal to live in Nigeria was the first point of disagreement and we don’t want to hire another Oliseh as coach of the Super Eagles, who will not live in the country. “So, we had no option than to terminate the contract discussion because his position of living outside Nigeria while working for Nigeria will not augur well for the country’s football. “This can also jeopardise the World Cup target we promised Nigerians,’’ the source said. He argued that allowing Le Guen have his way could compromise the target set for him. The source also said the Frenchman insisted he would accept the contract if only he would be visiting the country few weeks to the team’s matches. NAN gathered further that Le Guen had expressed concern over a clause in his proposed contract which required that he would be travelling to different parts of the country. The essence of such travels was for him to harness the potential of players on the domestic scene. “It was the fear of what he considers as insecurity in the country that forced him to decline the offer. 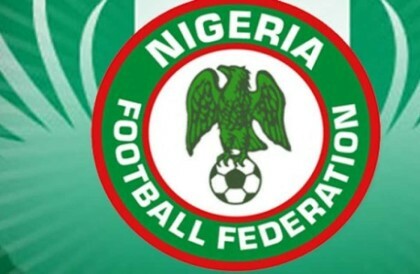 The NFF top official also pointed out that the federation would not go ahead to approve the recommendation of its technical and development committee against the wish of Nigerians. He however insisted that the decision to disregard the committee’s recommendation had nothing to do with finance.